Fortunately, Savers know that nothing could be further from the truth. Cow’s milk may be good for calves, but it is detrimental to humans. Drinking milk causes calcium loss in two ways: the animal protein in milk promotes calcium excretion in the urine, and its high phosphorus content binds to calcium, preventing its absorption. And while the hormones naturally present in milk help a calf grow healthy and strong, these same hormones can cause serious imbalances in humans. And last but not least, since milk is acidifying, it increases fracture risk. Beyond these risks, however, science confirms milk can trigger four serious health conditions. Today we’ll examine how drinking cow’s milk can lead to these four undesirable health conditions. Modern medicine, which does not focus on nutrition, ignores the evidence of the damage milk can do to our bodies, recommending it routinely as a “healthy” food for growing children. Are You Part Of The 60% Who Should NEVER Drink This? Because most people cannot digest milk, they experience an inflammatory response. And, as Savers know, drinking milk also harms your bones. At the Save Institute, we recommend replacing cow’s milk with alkalizing almond milk. The majority of people cannot properly digest milk, and experience inflammation when they drink it. Because milk is known to harm bones, we would all do well to avoid ingesting it at any age. MS is a central nervous system disease in which the immune system attacks the myelin sheath, the covering that protects nerve fibers and allows them to communicate with the brain and spinal cord. Once these fibers are exposed, the nerves deteriorate. Symptoms vary depending on the individual and which nerves are affected. According to conventional medicine, there is no known cause or cure for MS. Yet the study found a significant link between cow’s milk and the clinical appearance of MS. Multiple sclerosis is a progressive disease caused by the deterioration of the myelin sheath that protects nerve fibers. Without this protective covering, communication with the brain and central nervous system breaks down. A global research study found a significant correlation between cow’s milk and the appearance of MS symptomatology. A second study found milk proteins can cause the body to reject its own myelin sheath. IGF-1 is a naturally occurring hormone, primarily produced by the liver, that helps promote bone and tissue growth and development, especially in childhood. However, like any hormone or other naturally occurring chemical substance, it can be harmful in excess. Because it is a metabolic growth factor, excessive IGF-1 can lead to tumor development. Recent research has shown that a concentration of IGF-1 is positively associated with an increased risk for both breast cancer in women and prostate cancer in men. In fact, another study has shown that too much milk is deadly: three glasses or more a day can result in premature death. Dairy proteins increase IGF-1, a naturally occurring hormone that boosts bone and tissue growth in childhood but can be dangerous in excess, particularly after adulthood is reached. Research has shown increased levels of IGF-1 promote tumor growth. 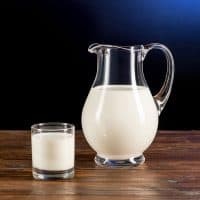 Contrary to the popular though misinformed belief that milk is good — even essential — for children, studies have shown that milk consumption can cause Type 1 diabetes, also known as insulin-dependent diabetes (IDDM), a chronic autoimmune condition in which the pancreas produces little to no insulin. Typical IDDM onset occurs in childhood or adolescence and requires insulin injections to maintain proper blood sugar levels and bodily functions. The medical profession maintains Type 1 diabetes has an unknown etiology and no cure, although genetics, geography, and environmental factors are thought to play a role. IDDM, especially if improperly managed, can be quite dangerous. Over time, the build-up of glucose in the bloodstream can affect the heart, kidneys, nerves, and eyes, causing life-threatening complications. Although the medical profession maintains that Type 1 diabetes (also known as juvenile onset diabetes, or insulin-dependent diabetes, IDDM) has no known cause or cure, researchers found a strong correlation between milk consumption and IDDM, concluding that milk contains a triggering factor for IDDM. As Savers know, keeping the liver healthy is key to bone health and overall health, since just about every substance we take into our bodies must pass through the liver. Allergic reactions are just one sign of an overtaxed liver — and milk is one of the top allergens. Food allergies are the immune system’s response to a trigger. Common food allergens include milk, shellfish, peanuts (and other nuts), soy, wheat, and dairy. Even with dairy as a known allergen, milk has been marketed so effectively for generations that parents generally assume they must include it in their child’s diet for healthy growth. This reliance on milk often continues into adulthood, when people routinely add a carton or a bottle of milk to their grocery-shopping basket. When we ingest food or beverage that can cause harm, our bodies react by producing symptoms of distress. If you drink milk and have been plagued with strange aches and pains, tiredness, and brain fog, for example, your body is probably alerting you that it does not metabolize milk well. Milk is a potent allergen that can cause a wide range of symptoms, from fatigue, aches and pains, to more serious digestive and health issues. In self-reported studies, scientists found milk to be the highest reported allergen, exceeding shellfish, peanuts, and egg. Giving up milk will ease the burden on your liver and help restore your overall health. The bottom line: when you stop drinking cow’s milk, you’ll not only help to avoid MS, cancer, diabetes, and food allergies, you’ll also improve the health of your bones, bring your hormones back into balance, and reduce your exposure to a number of toxins. 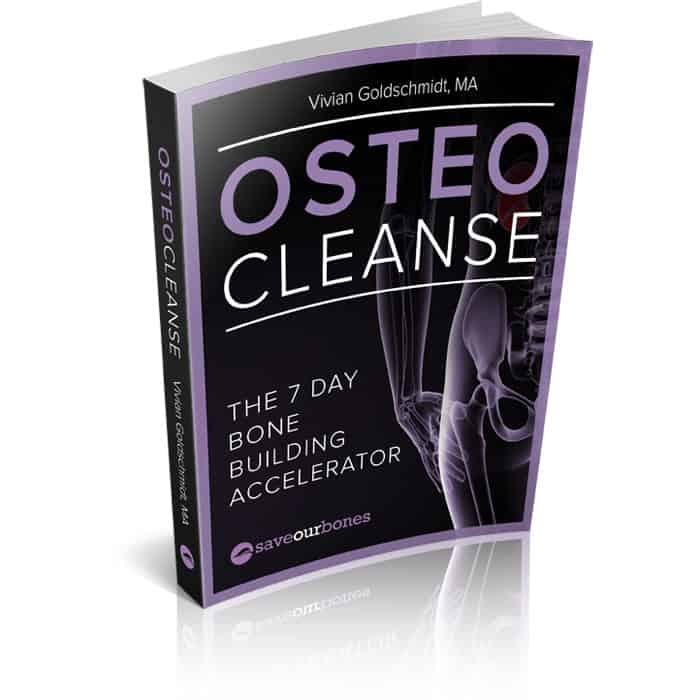 Your bones, your gut, and your liver will thank you! i don’t think it will do any harm to leave milk out of the diet for a while since there are other healthy alternatives. for many years, i have high levels of bilirubin as well as fatty liver disease which could possibly be caused by consuming dairy products. also gluten is a factor that many of us are unaware that it could also cause many health issues. recently being thinking about changing to a vegetarian diet for some time just to see how my health progress to be better. Interesting condemnation of milk, especially the “research” quoted is primarily 20 years old. I am 73, so have been “around” a while. Always drank milk (processed cow) all my life. Am also an animal “nut”, refusing to eat veal since a child because it was from baby calves seriously mistreated (just leave it at that). Have been a very strong advocate of natural feeding of infants, a breastfeeding proponent for over 50 years, and so can “sympathize” for the baby cows, goats, etc. that are weaned young so their mother’s milk can be collected for human use. Yet, they are both intended as food, having been bred to be what they are. I read a very interesting anthropological paper a year or so ago stating the researcher’s “conclusion” as to how humans became drinkers of animal milk. It seems she felt that the conditions where the ancient people lived were so dire at times, if they did not eat their livestock, etc. they would die from starvation. Utilizing the milk of their stock was another way to preserve their own lives, and so it seems that over time, a significant percentage of humans developed a “tolerance” to animal milk. Of course this all based on the nonsense of “human evolution”, but was an interesting evaluation of why some adult humans can still drink milk after childhood. With regard to the negative reports about responses to drinking processed cow milk for a rather small percentage of the population, I only have personal experience to depend upon. Four years ago, after I retired, I moved to the country and now have a small “herd”, family of 7, actually, of milk goats. I milk my two does daily and refrigerate the milk. No processing, other than to make sure the jars and equipment are clean and the milk is “clean”. I do use a “neat” little hand pump that delivers the milk straight to the jar through food grade tubing. I usually have close to a quart of delicious raw goat milk daily and I am sure it and the plant based calcium tablets I took are the reason my bones have healed and actually improved. You see, satan tried to kill me two years ago, pulled my old truck off the road into a bar ditch ending its useful life and breaking my neck in two places. I had cervical disc fusion (5 discs) surgeries when I was much younger – 2 at 16 years and three more at about 34. 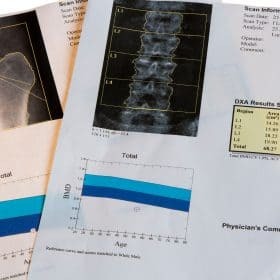 My neck bones were very porous and the neurosurgeon was not sure I would heal enough to ever be able to do anything “strenuous.” In two months after the surgery, he could see new bone growth. Now, two years later, I am doing most of the “farm/ranch things” again, and a part-time job (home health care) to pay for my “new” 15 year old pickup! I am very blessed to be one of the majority that can drink milk (raw goat), and seem to derive quite a lot of benefit from it. My ex husband, has no teeth, no gall bladder, mild to moderate diabetes he controls with his diet, old ulcer scars in his stomach, and has had back and neck surgery also drinks close to a quart of milk a day. I provide goat milk that he mixes with the processed cow milk, for now. Hope to get him on only goat milk eventually. With all that said, I would be interested in current research findings regarding milk – not just processed milk from cows fed GMO grains, and other harmful “food” that is passed onto their milk and the final consumers. Hi Vivian, How does coconut milk feature on the acid/alkaline ration? I can’t seem to find that information. I am soy, dairy and nut intolerant and use coconut milk (it has a little rice milk in it) in my beverages. I eat half a cup of homemade coconut yoghurt daily for a particular bacteria in it, and stir it into my dishes for a creamy effect. I get my calcium from daily homemade chicken stock. At least that is what I’ve been told! I cannot eat the usual green leafy veggies as high in oxalates (Which cause inflammation and pain – in me) so am learning to make unusual dishes with rocket and cabbage, which are low oxalate. Even a drinkable fresh juice with cabbage, cucumber, ginger, lemon and pear. Just need reply re the status of coconut cream and milk. there have been a lot of research done that prove there is a link between casein (milk protein) and gluten causing autistic spectrum disorders in children and adults. so it is not surprising that there are findings that milk can cause other diseases when our bodies does not agree with it. in fact there are lots of alternatives to cow’s milk such as some nut milk and dark green vegetables that contain many calcium mineral. I wonder if milk triggers other brain dis-functions, in addition to MS. Is there any research on this? The grief each calf and mother cow experience when permanently separated is horrific and cruel. The calf is usually allowed to strip the mother of the colostrum and thus bond with mother, only to be removed so we can have her milk. It is all too cruel and to say nothing of the huge commercial dairy industries!! Can you suggest a Yogurt that has Lactobacillus and Bifidobacterium in it. What do you think about almond milk instead of regular milk? I know cow’s milk is acidifying and not good for bone health but I heard that making our own raw milk kiefer is beneficial for bone health. We are able to get raw milk from a trusted source and I have been making the kiefer. Is raw milk kiefer good for bone health? The 1992 study you reference claiming that milk causes MS has been debunked many times..Even people with the condition do not believe that urban myth anymore..
As to the connection with breast and prostate cancer, ALL animal products, including meats, contain IGF-1 not just milk. I suspect that the reason you do not promote abandoning all meat is that you sell calcium supplements. 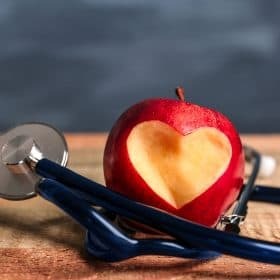 There IS scientific evidence that for some people with a genetic predisposition there is a substantially increased risk of heart attack and stroke when they take calcium supplements..but NOT when that calcium is taken in the form of FOOD. Milk is one of the most effective way of getting that calcium into a diet..To damn an entire food group is reckless especially when you are quoting decades old studies to influence people’s health habits.. In 1999 at the age of 47 I was diagnosed with hormonal breast cancer, underwent a mastectomy, chemo and radiation. With 10 out of 11 lymph nodes positive the specialist stated my prognosis was not good. I was fortunate to see Professor Jane Plant in an interview on TV and next day bought her book. In this book I learnt of the dangers of consuming cows milk and how it is linked to hormonal cancers. I was a milk drinker all my life but I threw all dairy out the window and 19 years later I am still here against the odds. I would recommend Jane Plant’s book to everyone. We are the only mammal that drinks milk as an adult and another species milk? Vivian is 100% correct with her warning on drinking cows milk as the only purpose of cows milk is to feed a baby cow. Humans should get there calcium from a good vegetable diet. There is a lot of great websites warning about the dangers of consuming cows milk. Humans do not need cows milk once they are weaned. My complete change of lifestyle is what saved me – not the horrible treatment I went through. You may not be selling calcium supplements, but you have been promoting Trueosteo on this forum for years..
We’ll just have to agree to disagree, Anita. And that’s okay – I welcome all viewpoints on the topic. The bottom line remains the same: milk for cows is meant for calves, and is not designed for human consumption. Thank you, Anita ! For your rational scientific response to these unsubstantiated claims. Does this also apply to cheese? what about sheep cheese (pecorino?) There was a study of thousands of Swedish women studied for decades. Those who ate cheese lived longer than those who drank milk as well as those who ate no dairy. Cheese contains vitamin K2, needed for bones. Humans have been eating cheese for thousands of years. Milk, pasteurized, homogenized has only been around for decades. What about raw milk? What about A1 vs A2 milk? That’s interesting, Bonnie. Of course, there are other lifestyle factors that may have come into play besides eating cheese that accounted for the longevity of the women in the study. That’s an interesting conjecture, Carmel; research does show that cow’s milk has a great deal more casein than human milk – cow’s milk has a ratio of 80:20 casein to whey, compared to human milk that has a 40:60 ratio. But so far, I have not seen any research on the scenario you describe, where a woman with gut permeability develops antibodies to casein and therefore can’t produce casein-containing breast milk. It’s an interesting theory! I breastfed my son until he was 11 months old, but after he was weaned he just refused to drink milk out of a cup. He would have had a little milk on cereals, but not the quantities of it recommended for children. I used to worry about this but didn’t try to force him, and he grew up very strong and healthy! I have read that drinking lactose free milk is good for bones. I love milk and wondered if this is true? Most people have heard that drinking any kind of milk is good for bones, but at the Save Institute, we hold that no kind of animal milk is good for bones, including lactose-free milk. Milk is not naturally lactose-free, so it has to be processed even more to remove it. Typically, the enzyme lactase is added to the milk to pre-digest the lactose, and the milk is then ultra-pasteurized to deactivate the lactase and extend the milk’s shelf life. How about organic goats milk, is that okay or is it as bad? Organic goats’ milk is not “bad” – in fact, no foods are considered “bad” on the Program. Rather, it’s an issue of moderation. Organic goats’ milk is slightly more alkalizing than cow’s milk, and is certainly a better choice than non-organic milk of any kind. Think of it as a spectrum, with processed, store-bought cow’s milk at the most acidifying end of the spectrum and organic goats’ milk at the least acidifying end. Nonetheless, at the Save Institute we hold to the well-supported view that it is not natural for humans to drink the milk of an animal, which is intended for the young of that animal. Therefore, while milk is not “bad,” we don’t recommended it. Also, I have recently read that all North Americans are very low in magnesium. The calcium/magnesium ratio is completely off kilter which is causing so many unnecessary problems. #1 Question I have for you, Vivian, I believe it was in your Cleansing book, you mention that it’s okay to eat the peelings on the almonds. Some health emails which I receive had recently stated differently – I’m sorry that I don’t understand or remember the details which they had explained about it. If you have heard about it, what do you know about any of the facts? Also, I soak the almonds (and other nuts/seeds) before making the milk with them. 2) Question, the bumps on my knuckles is why, I believe, the doctor had me drop the regular dairy products. Thankfully, I have never had any pain from them. Can one get rid of those bumps, or the calcium build-up, I believe it is, that is on the knuckles? All your information on the emails are always greatly appreciated. They are my “go-to” for any information I want concerning our bones. Blessings!!! Does this also apply to dairy products such as different cheeses, Danone yogurt, etc.? Cheese has undergone a process that changes the molecular structure of the milk, so it is not the same as straight cow’s milk. It is still acidifying, however, and not a good source of calcium for your bones. Dannon yogurt, which you mentioned, is typically flavored, sweetened, and not organic; so it, too, is not a good source of calcium and is acidifying. However, plain, organic yogurt without sugar is alkalizing and good for bones due to its probiotic content. Is it possible to make healthy homemade yogurt which is beneficial to your health? I would not recommend any yoghurt, even organic. I had ovarian cancer 6 years ago. I became intolerant to milk products about 6 months prior to my diagnosis. After reading Jane Plant’s book, I am now certain that my cancer was caused by the organic Greek yoghurt that I ate every day. I have not touched any milk products or beef since.